My friend Sarah Bessey coined the term “Jesus Feminist” and recently published a book by that name. She has invited others to reflect on the ways they identify with this term. 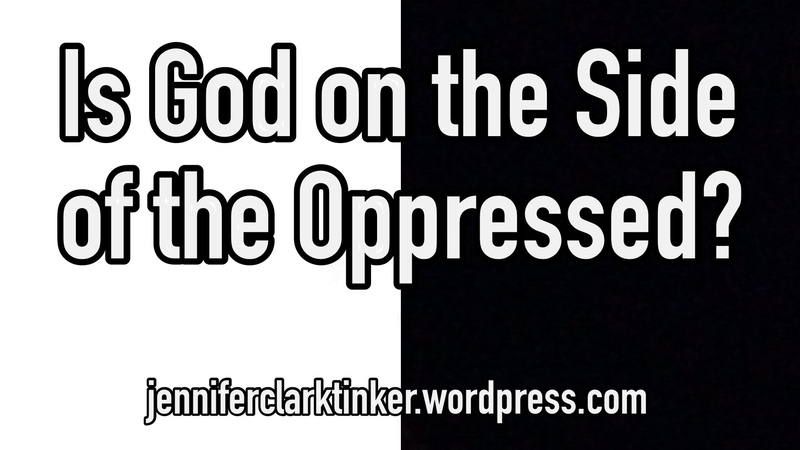 Here’s my take: I’m a Jesus Feminist because I don’t have to be one. I grew up in a time and place and in a home where, as a young woman, I had every opportunity. This was so completely true that I took feminism for granted. I even bought into many of the negative stereotypes of feminists. I could disparage feminism in my youth because of the rights and opportunities that past feminist movements afforded me. I didn’t have to be a feminist because of all the hard work for women’s rights that had already been done. While I never knew a woman pastor growing up, I was in a denomination where women were permitted to serve in every capacity in the church. But I became acquainted with other denominations where this was not the case. My own first experience in which I felt I was treated differently because of being a woman wasn’t until college. A guest-lecturer utterly dismissed an insightful comment I made after class only to go right back to chatting away with the male student that was still in the room. But this was only the beginning. Over time I began to learn more about the plight of women around the world and I realized that I was very fortunate to have the rights and opportunities that I have. When it came time for me to have my son, I made the seemingly “backward” decision to be a stay-at-home mom–not because I had to but because I wanted to. By this time I recognized that making this decision was a privilege afforded me by the work of feminists ahead of me. When my friend Sarah Bessey announced that she was writing Jesus Feminist and she talked about her interest in feminism being motivated by following Jesus, it resonated deeply with me. I didn’t want to be an angry, man-hating feminist, but I do care about women being treated as people! And my own personal study of scripture led me to believe that God highly values daughters and sons alike. I think I took the long route to come to terms with my own feminist streak. But the long and the short of it is, I am a Jesus Feminist because I don’t have to be one. Order Jesus Feminist from my section at the Amazon store at Life & Liberty. Disclaimer: Your purchase via this link will help support Life & Liberty, an online magazine where I am a Spirituality Editor. Summer is here and that means lots of free time for my dear son. So, the other day, he decided to try out some of his “grow animals.” Grow animals are these little encapsulated sponges that you put in water and they “magically” grow to be ten times their original size. Seeing these animals grow right before my very eyes got me thinking about our spiritual lives and how growth as a Christian doesn’t happen so easily. As a good Lutheran, I am probably missing an opportunity to talk about the Sacrament of Baptism. We Lutherans are big on our Baptismal theology and teaching–through the waters of Baptism God adopts us as sons and daughters. Perhaps “just add water” could be a fun angle for a baptismal post. Living out our faith day in and day out, growing in Christ throughout our lives over time, is not something that just happens right before our very eyes. We can’t just add water and experience phenomenal growth in minutes. The truth is that even my son’s “grow animals” took more like days than minutes to reach their 10x growth potential. What is involved with spiritual growth? God’s love and action for us first and foremost. Our growth in faith is an outgrowth of our trust in what God has first done for us through the life, death and resurrection of Jesus Christ. Showing up. How do we “show up” in our spiritual lives? By going to worship–hearing God’s Word and receiving the Sacraments. We also show up through spiritual disciplines like prayer and Bible study. Showing up at worship and spiritual disciplines gives us opportunities to connect with God which helps us grow in our faith and trust in God. Spending time with fellow Christians and learning together how to best live our lives as the Body of Christ. By being with others who are also trying to live this out and grow in faith, we can share ideas and offer support when needed. Practice over time. Growing in our spiritual lives doesn’t just happen in days or weeks, it takes months and years and decades. It is something that happens over the course of our entire lives. Patience & learning from messes. Sometimes, maybe more often than any of us really want to admit, we mess up. We fail in some way to live up to the name of Christ. Sometimes Christians give Christianity a bad name. It is sad, but true. Instead of wallowing in our messes, we can learn from them and let those lessons become part of our growth. Saying we’re sorry. When we do make messes, it is important to acknowledge them, and to say we’re sorry–to God and to those we’ve harmed. It is difficult for anyone to move forward when messes are left messy. 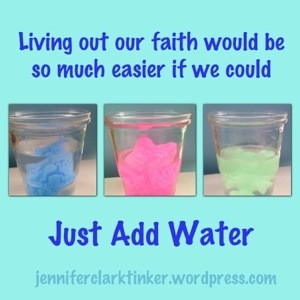 Yes, growing in our faith is more complicated than “just add water.” But I do not intend for this list to be a legalistic checklist of whether we’re doing our faith-living right. This is merely descriptive of the types of experiences that contribute to our spiritual growth. Our spiritual growth does not happen on our own. It is not something we have to do for ourselves to make God love us, it is something that God works in and through us. May we each experience God’s love more deeply in our lives as we seek to grow in our love for God and our neighbors. What do you think? 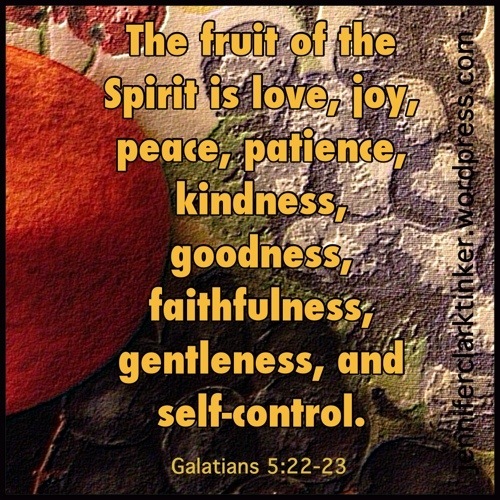 Is there anything you would add to the list of what is involved in spiritual growth? What has helped you grow in your faith? If you enjoyed this post about spiritual growth, you may also appreciate the follow up post titled Let’s Talk About Spiritual Shrinking As Well As Spiritual Growth (click the title to read the post).